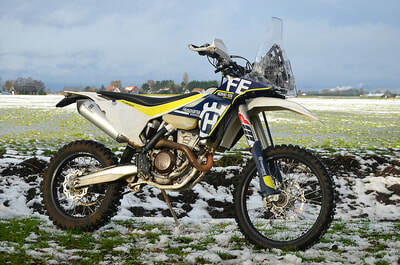 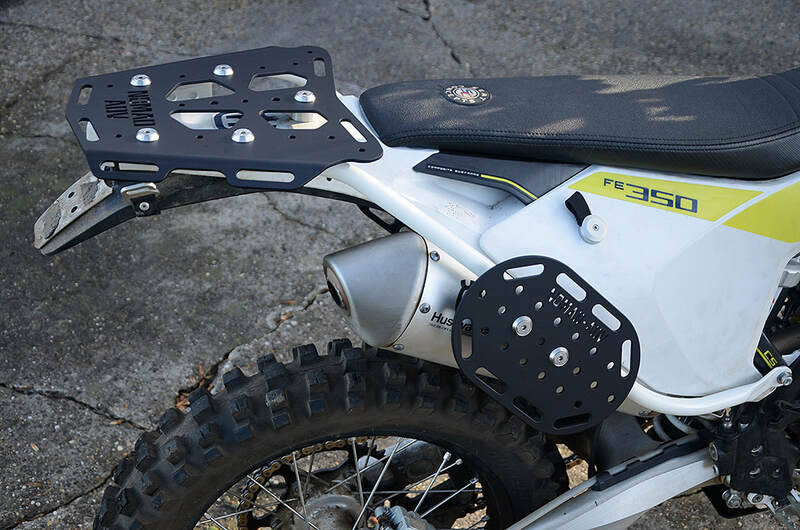 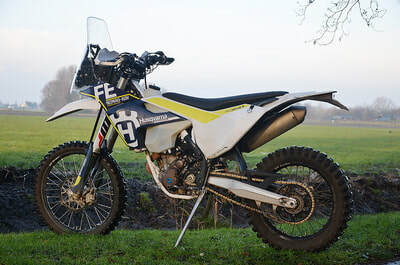 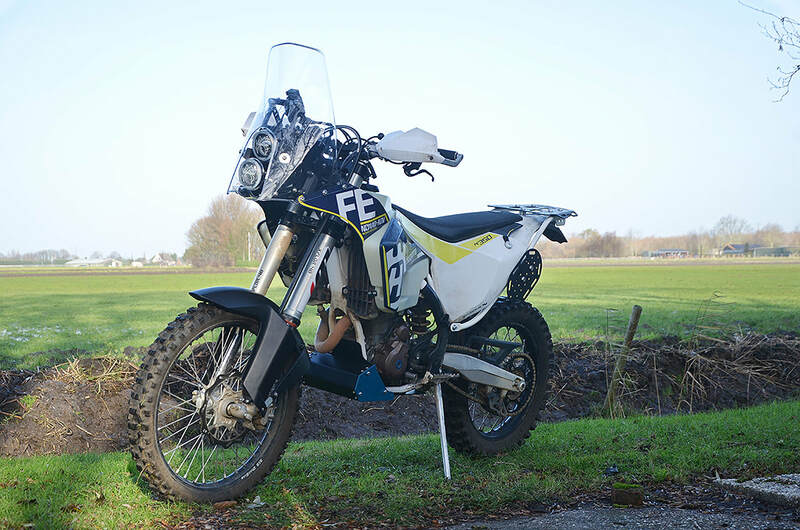 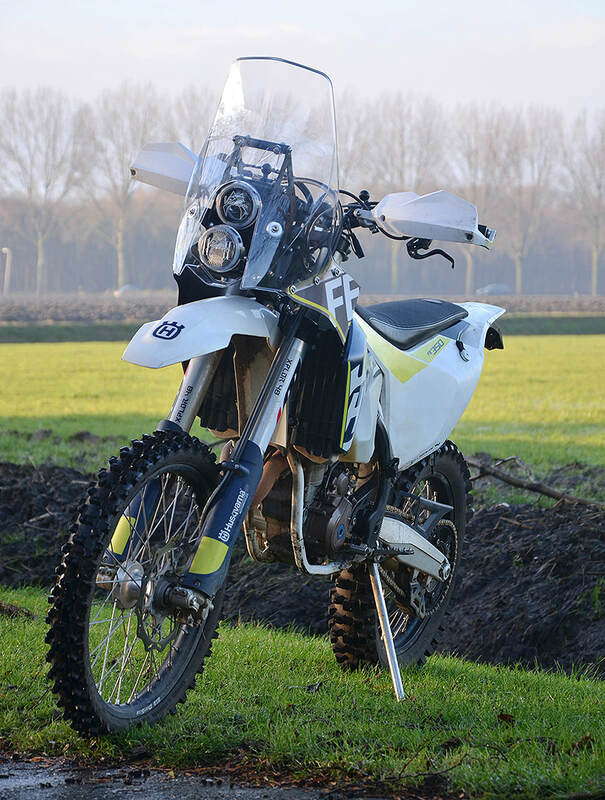 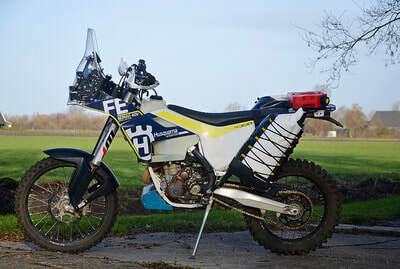 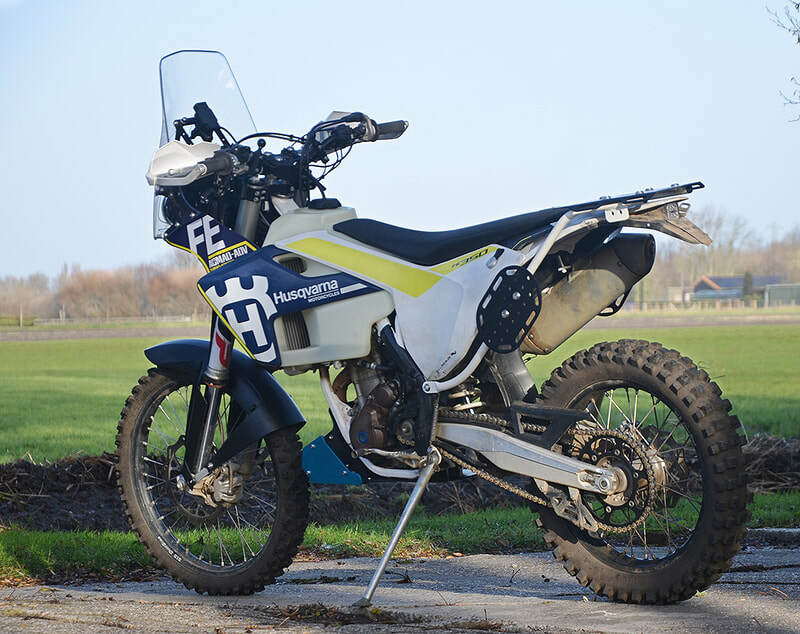 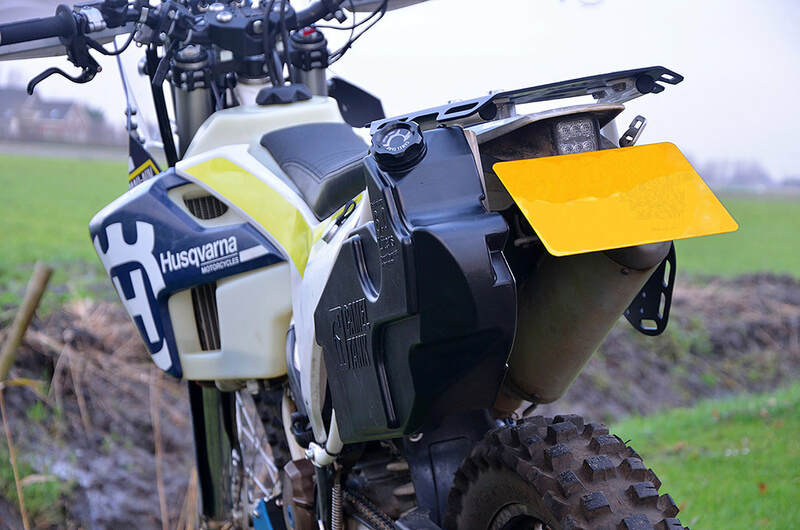 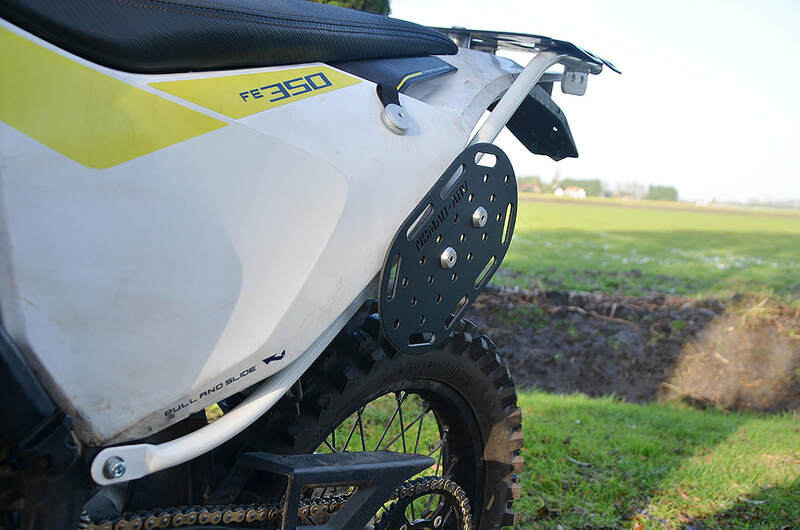 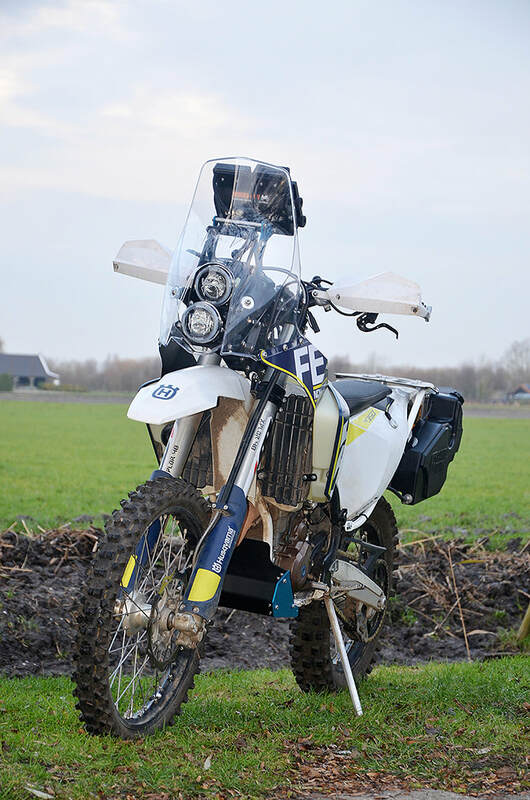 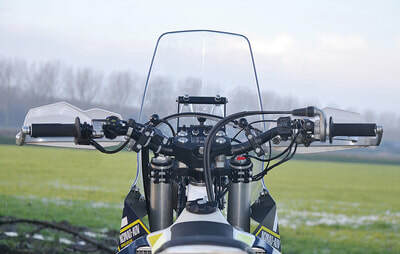 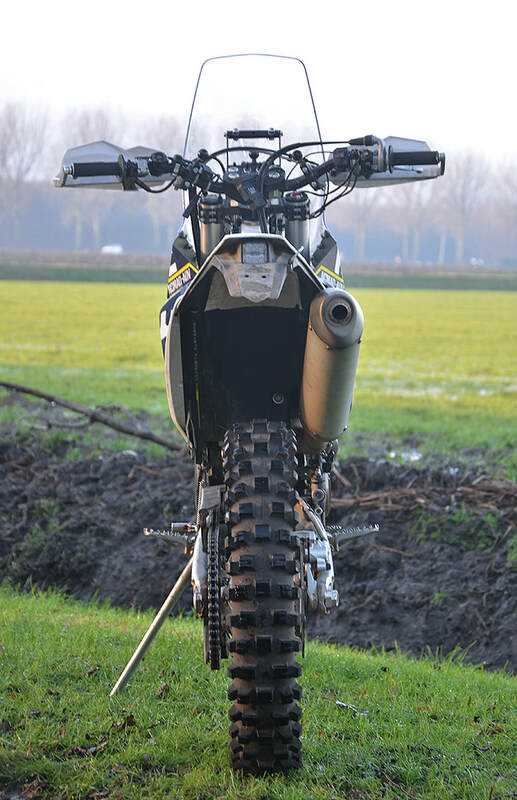 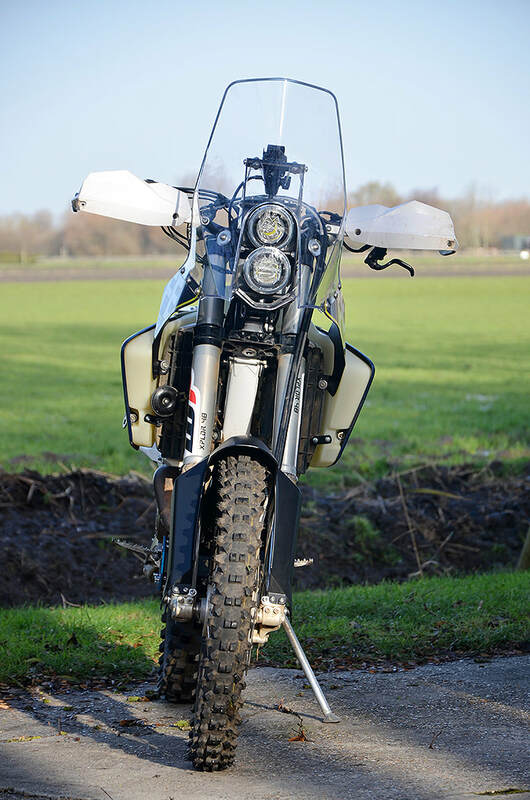 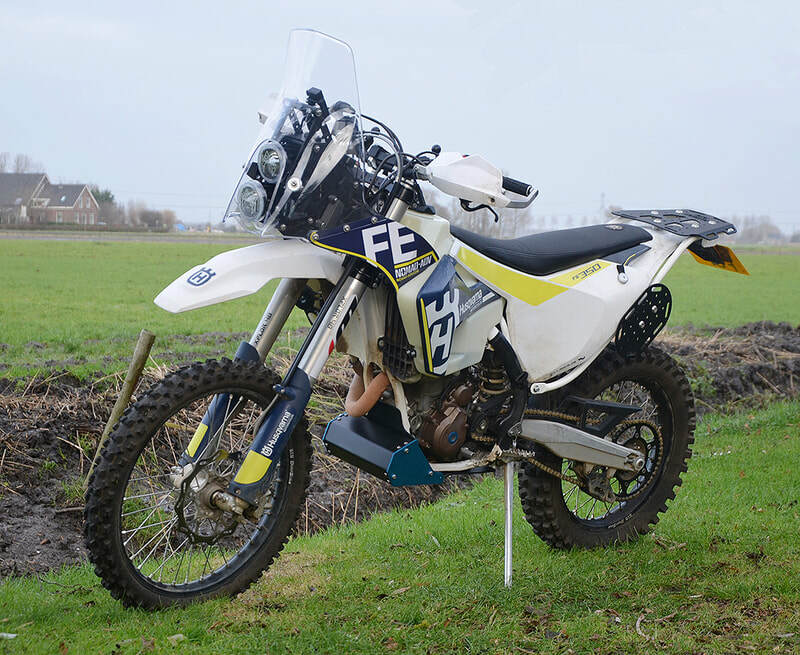 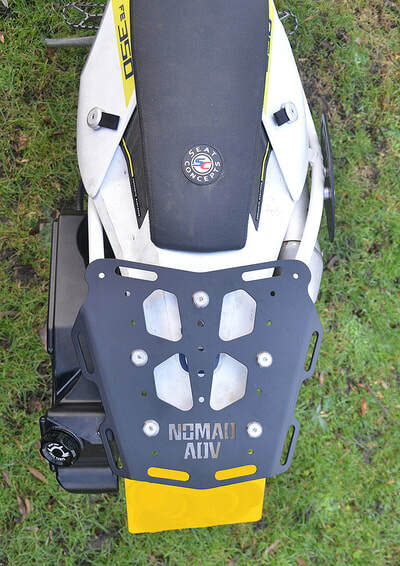 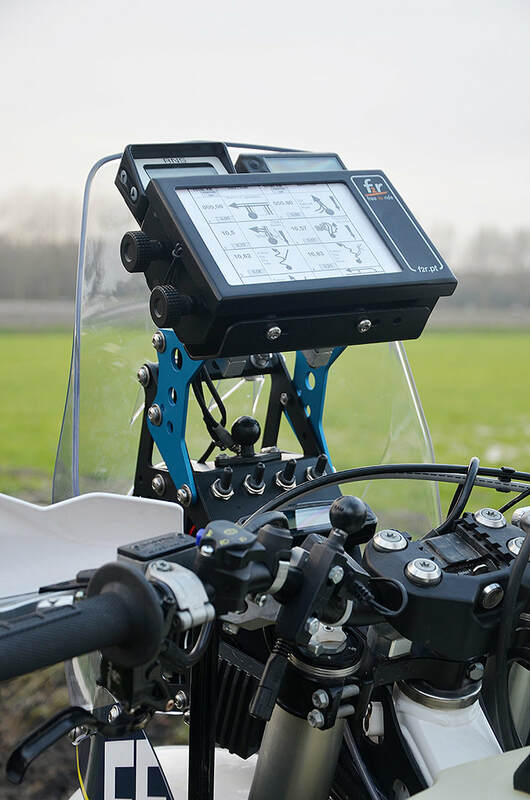 That's why we've been working on a full Nomad conversion for the Husqvarna FE 250/350/450/501 range and also one for the KTM 250/350/450/500 EXC range. 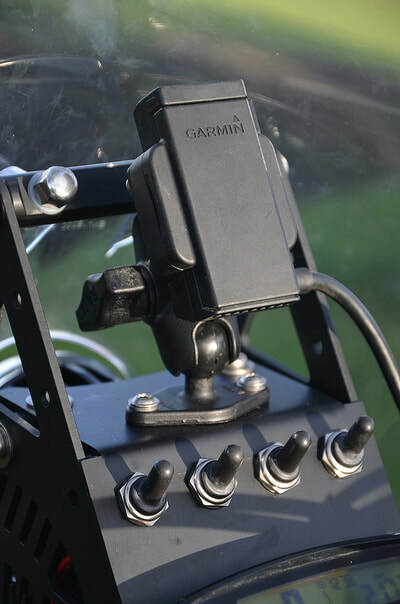 We've made a rally/travel tower for it which has all the essentials built-in, including USB charging points, 12 volt charging points, a spot for a GPS, Spot tracker, GoPro, roadbook, ... etc. 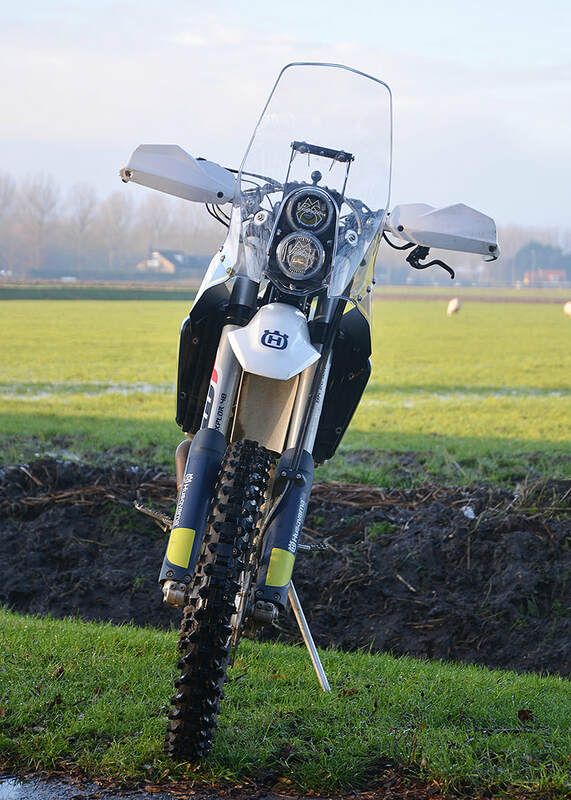 All of which is possible as we use LED headlights, which use less power. 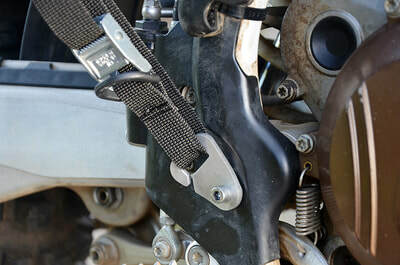 We've also included a spot for an optional ignition key in the dash panel. At the rear we've made a luggage rack (a proper one rather than just bolted to the plastics) which can also hold a Rotopax 4 litre fuel pack. 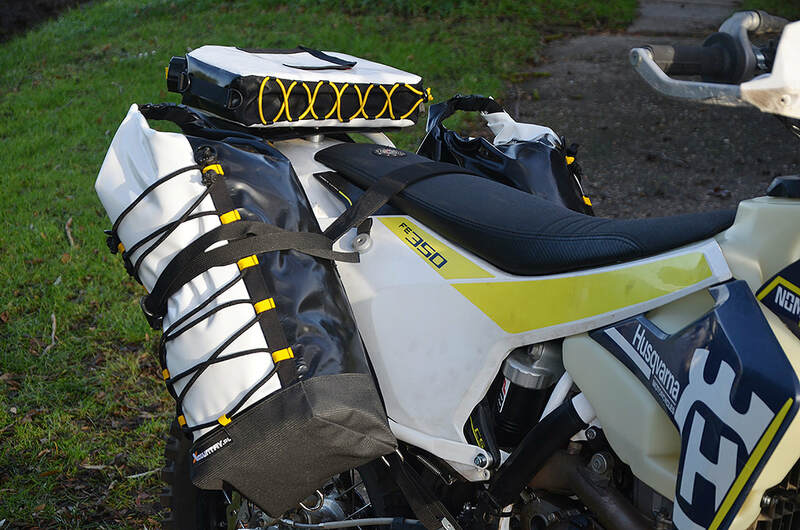 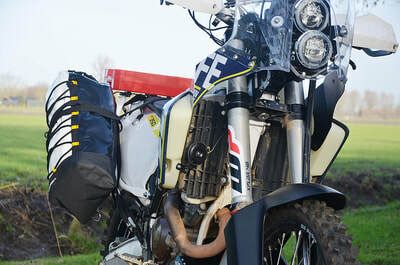 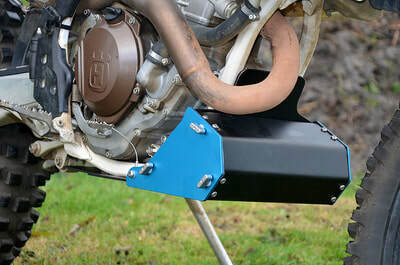 We've made support panels for side bags and even made little G-hooks which can be mounted near the footpegs to strap your luggage to when the going gets tough. 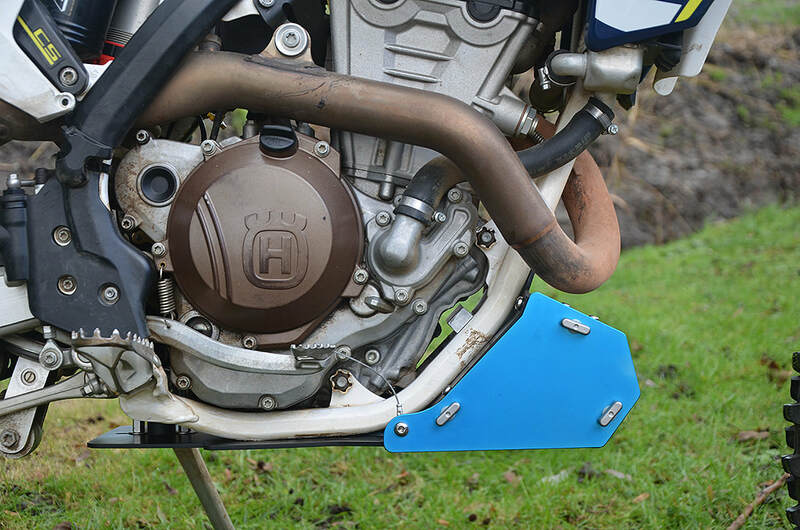 Heel guards / brake cylinder protectors and handlebar risers are also available. 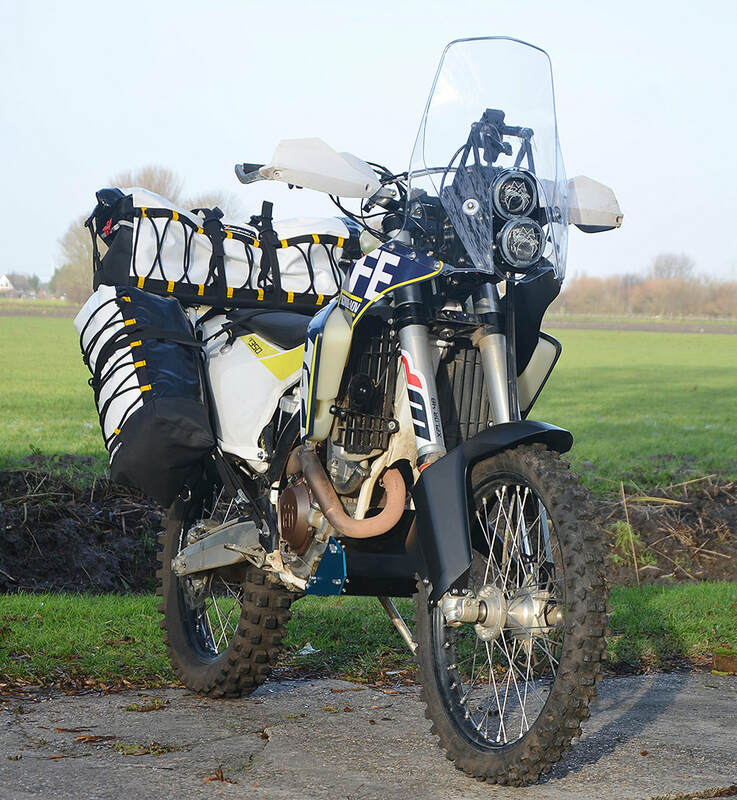 We've assembled 3 convenient kits, the adventure kit for travelling, the rally kit to convert your enduro into a rally bike and the ultimate RR travel kit. 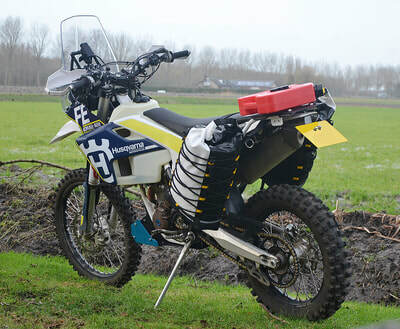 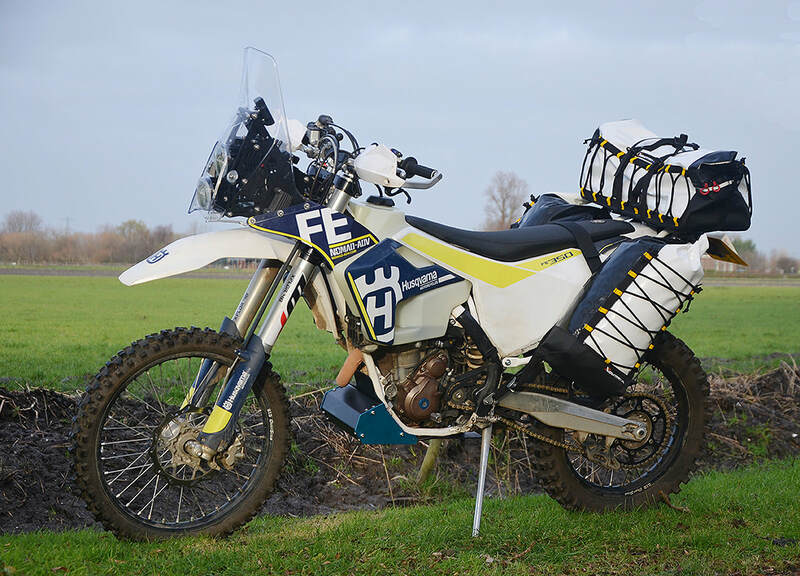 These kits contain all the basics to convert your Husqvarna FE into a lightweight travel machine, a rally bike or the ultimate travel enduro. All kits are bolt on and come with complete fitting instructions (including photos).